One small section of my humble little library collection. 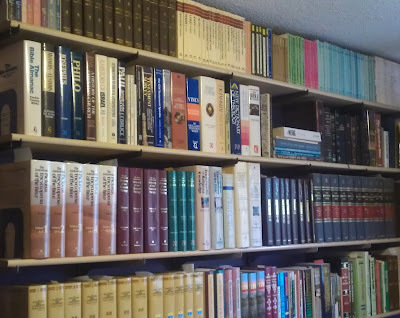 Have you ever wondered how many volumes of books it would take to sum up the entire wealth of human knowledge? Let's put this another way; if everything on Google was printed, how many pages would be required? Would the world's largest libraries be large enough to contain the vast sum of all human knowledge? I used to think of such a concept as being totally immeasurable, kind of like counting the sand on the seashore, but I was wrong. (I know, I know, it's not like me to be wrong -LOL). 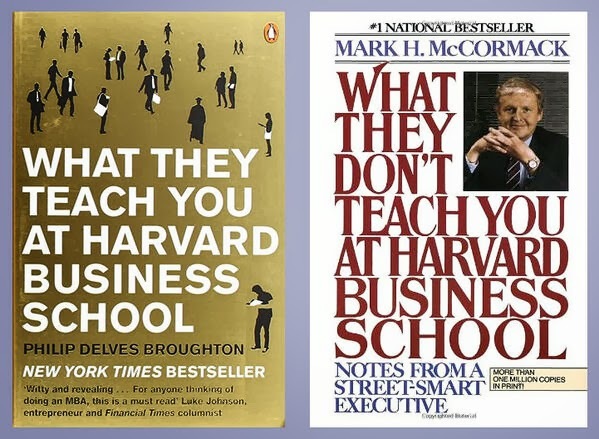 Apparently the total sum of all human knowledge can neatly fit into two simple textbooks. It's true; if I didn't see it with my own eyes, I wouldn't have believed it either. Take a look for yourself. Does this not say "The Sum of All Human Knowledge?" LOL. Well there you have it! 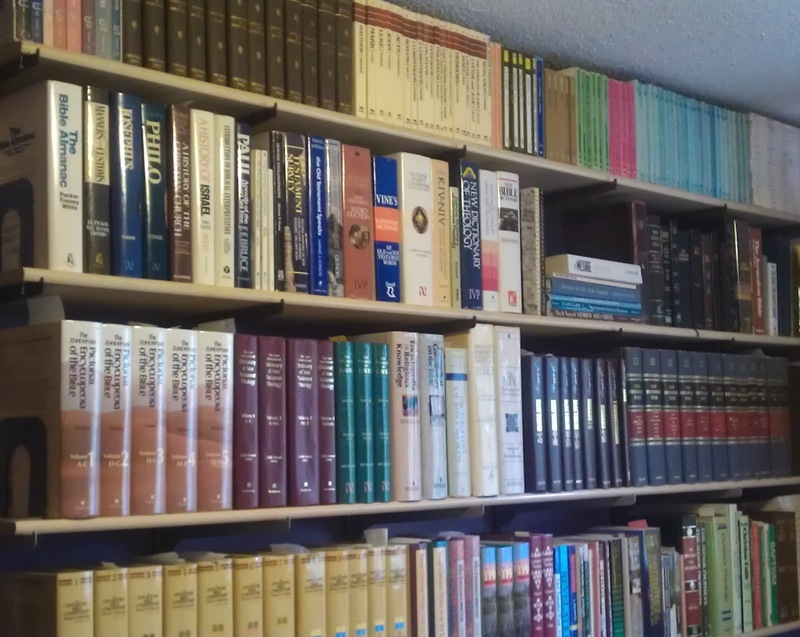 So forget all those bookshelves full of expensive books. Apparently all we really need in order to know it all is this simple two-volume set. Happy reading. 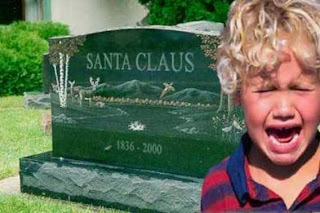 It appears that there has been a setback to the Christmas traditions of millions. While the much adored Santa Claus was taking the team through its annual pre-Christmas warm up exercises, a deranged hunter let loose with several rounds into the night sky, right into the path of the oncoming sleigh. Santa Claus and all the reindeer are dead. Authorities identified the gunman as Jack Frost of no fixed address. Asked why he did it, Mr. Frost told reporters that had been a victim childhood reindeer pranks that included "laughing and calling him names." Doctors confirmed that Frost was off his medications at the time. Our condolences to the millions of children who are understandably upset at the news. Meanwhile in related news, despite a shortage of deer in the area, several popular foodie personalities have been gathering at the SC Bistro in the north pole village of Tofu for their annual venison burger cook-off. 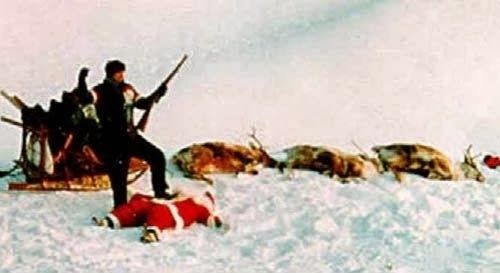 Organizers denied allegations that there was a connection between the shooting deaths of Santa and his reindeer, and this year's cook-off. Ever go into a liquor store and see people in the wine aisles with that blank "deer caught in the headlight" stare on their faces? The fact is, for some people choosing a bottle of wine is like sorting through a bag of mixed rice; ultimately it all looks the same. I have no idea where this came from. I think I found it on that great time-waster of our modern age, Facebook. 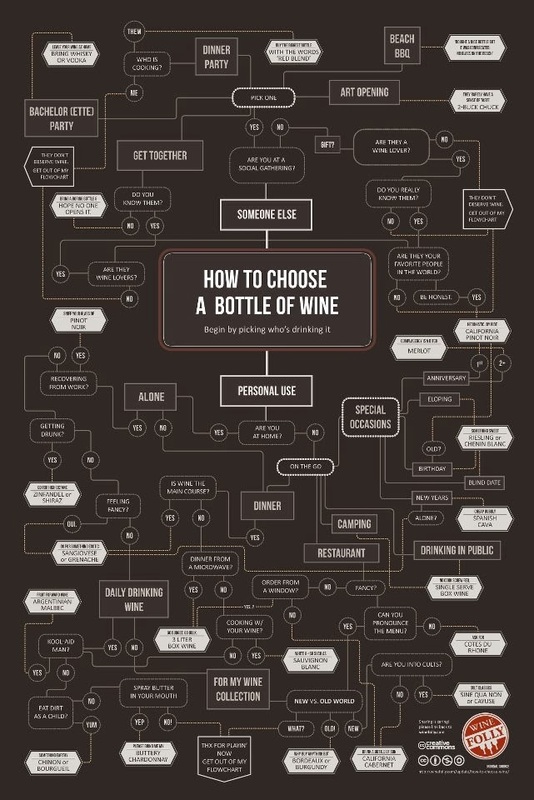 Having said that, maybe liquor stores need to have something like this posted at the end of their wine aisles. So let's get started. Who's going to be drinking it; you or someone else? No need to thank me; glad to have been able to help. I had to laugh when I saw this online the other day. Apparently someone else has the same pet peeve as I do with the moronic antics of some drivers out there. Really, people? Is a signal light properly applied, before a planned turn, that difficult of a concept? 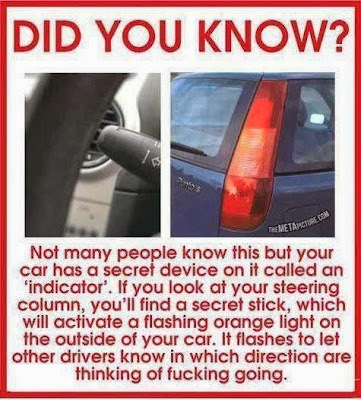 Apparently there are still some folks who are not aware that their vehicle even comes equipped with such a gadget. I don't know if it's true or not, but I'm reminded of the story of the rage of one driver who got out of his car at the busy intersection, and using a baseball bat, smashed out the tail lights of the suddenly stopped car in front of him. When confronted by the driver with the now busted tail lights, he simply said, "I figured that if you're not going to use them, no sense you having them." Now I'm not condoning road-rage, but sometimes I can understand the sentiment. Really, people? Is a signal light properly applied, before a planned turn, that difficult of a concept? What's really amazing to me is that there are not more such incidents of road-rage, given the number of morons out there behind the wheel.